The last round of the Junior Competition home and away season throws up a series of interesting scenarios which mean that a number of teams have it all to play for on Sunday. In the Under 11 competition, the undefeated Nambucca Valley Lions sit proudly at the top of the ladder and are guaranteed to play Finals in just their second season in existence. They take on the Grafton Tigers who are out of the race for Finals but will be keen to finish strongly. All but guaranteed to join the Lions in the Finals are the second placed Northern Beaches Blues who take on Sawtell Toormina Saints. The Saints sit in fifth place and are a realistic chance of sneaking into the top four if they can beat the Blues and one of the teams above them on the ladder drops points. Third placed Port Macquarie White travel to Taree to face the Manning Valley Mustangs while fourth placed Coffs Harbour Breakers Dark have a home “derby” against Breakers Light. On paper, these matches should result in wins for the higher placed teams but both are derbies and the Mustangs and Breakers Light are sure to rise to the occasion. Port Macquarie Black sit in sixth and are a mathematical chance of qualifying if they can beat Macleay Valley Eagles in Kempsey and if other results fall their way. The Under 13 competition is almost as open with five teams trying to squeeze into four places. Grafton Tigers are guaranteed to play Finals footy so their match against Nambucca Valley Lions is purely academic, but the next four teams are so close that each of the matches has huge significance. Second placed Macleay Valley Eagles travel to Taree to face the Manning Valley Mustangs, knowing that a win secures a Finals berth. Maximum intrigue surrounds the match between Coffs Breakers and Bellingen Bulldogs which pits third against fourth. Through a quirk in the draw these teams played each other last week, with Breakers claiming the spoils so the Doggies need to be on top of their game from the first bounce. These two teams are level on the ladder and have Port Macquarie Magpies breathing down their necks and anything less than a win could see that team miss out on Finals in 2018. Fifth placed Port are away to Camden Haven Bombers and are expected to win so this will really pile the pressure on the Breakers and Bellingen. 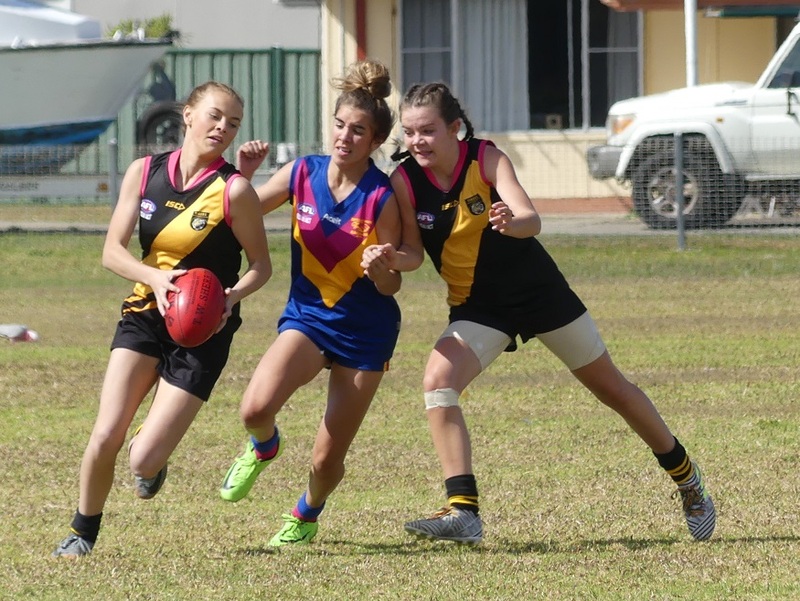 In Youth Girls action, Coffs Breakers can seal top spot on the ladder with a win over fourth placed Macleay Valley Eagles. Grafton Tigers host Port Macquarie Magpies in the battle of second against third knowing they can’t be caught on the ladder so both teams will be looking to gain a psychological advantage with a Finals showdown all but guaranteed. The Under 15 match of the round sees Grafton Tigers host Bellingen Bulldogs where the winner will claim second spot and the all important double chance in the Finals. Home ground advantage could be key in this match so the Bulldogs will be looking to field a full complement of players to negate any benefit that playing at Ellem Oval offers to the Tigers. Ladder leaders Sawtell Toormina Saints have the bye and will be resting up with one eye cast towards Grafton to see who they will play in next week’s Semi Final. For full match details click here.